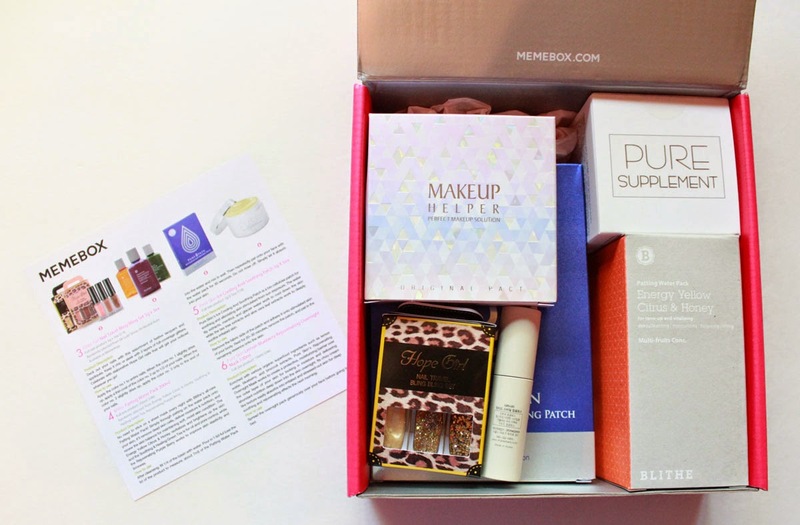 Memebox Superbox #45 Korea's Most Wanted. The Korea's Most Wanted box is a themed box that comes with only full-sized products carefully curated from Korea to give you the best experience and widest exposure to a range of products. Memebox Global and Memebox Korea are teaming up to bring you Korea’s Most Wanted Box, the best of the best in K-Beauty! Also a global hub for K-beauty-holics and makeup addicts, Memebox Korea carries only the hottest and most up-to-date Korean trends, and she’s giving us everything from hair and body products to makeup and skin care products so that you can get a taste of real Korean beauty! 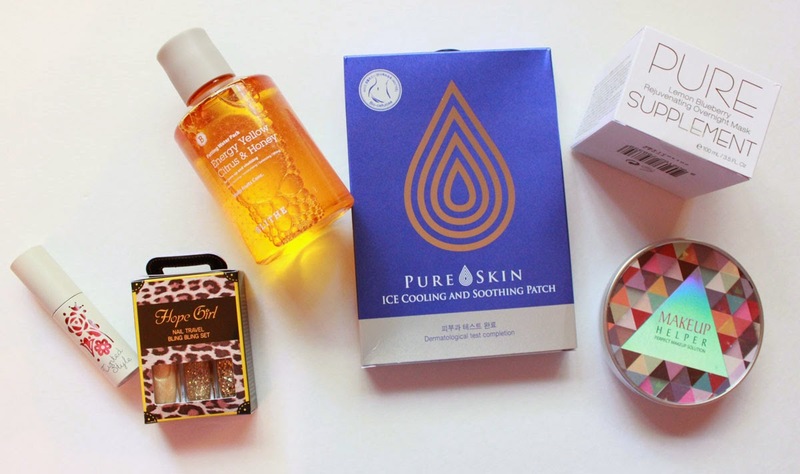 I liked the skincare in the SuperBox the most. The water pack is like a sheet mask with out the mask and refreshes and brightens your skin. My favorite was the Pure Skin Lemon Blueberry Mask. I'd never tried an overnight mask before, this smells like fresh lemons and leaves your skin looking so glowy, going to need this with the season change. The nail bling will be perfect for the Holidays. Makeup was just so so, but I have enough that it didn't really matter. Another great mix of products from MEME and everything in the Superbox is Full Size. MEMEbox has also introduced it's own beauty line. 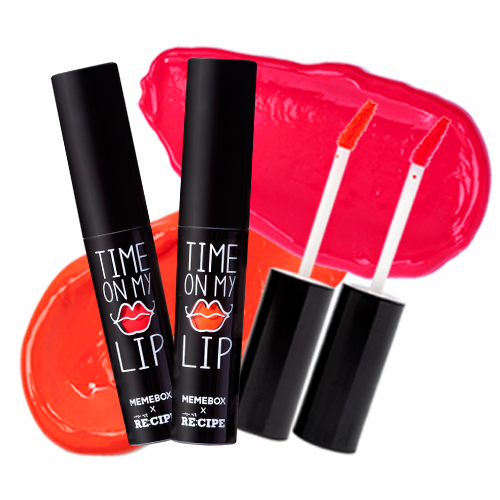 One of their first products is Time on My Lips, a a revolutionary hybrid gel formula that adds glamour to your lips while moisturizing them with natural ingredients. Layer it up to achieve three different looks as a tint, gloss or lipstick. 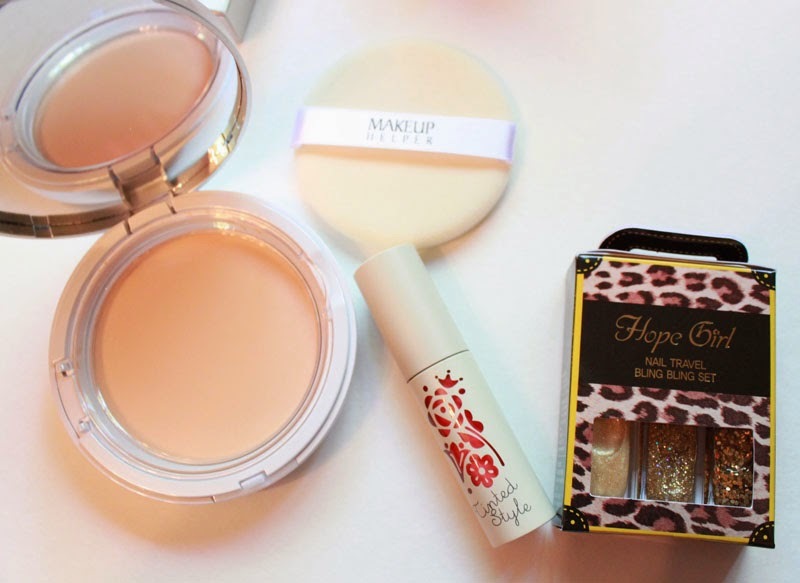 Paraben-free ingredients. 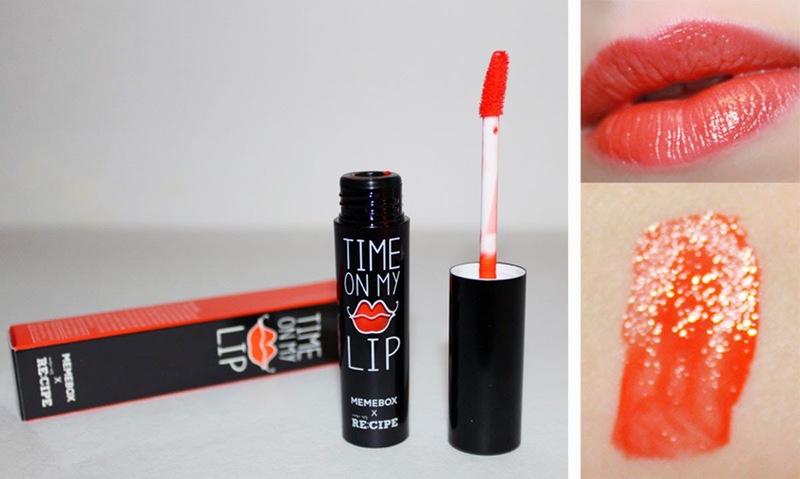 Time on My Lips (Awesome Pink & Whop Coral) is Available October 23rd. 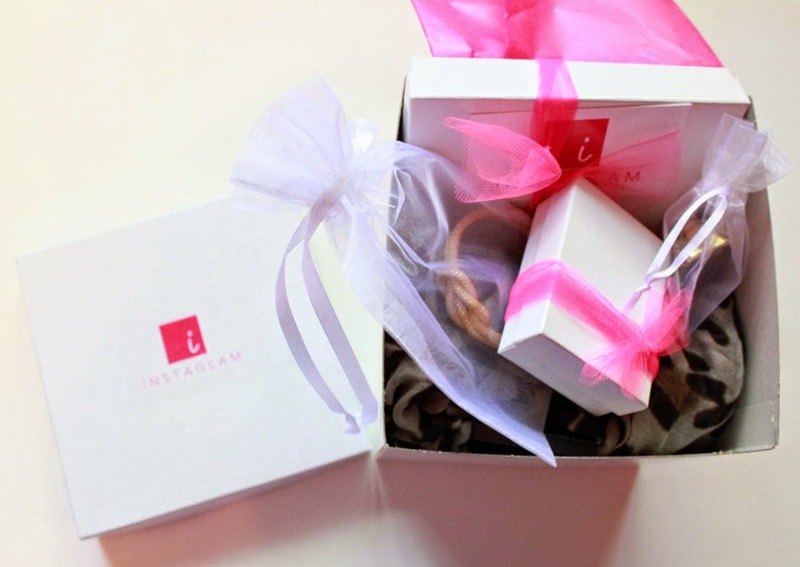 Instaglam is a monthly fashion and accessory box that helps Women feel glam while giving them the ultimate shopping experience. The October collection includes a FAB loose fit fall top which is a perfect with leggings or skinnies, it is an essential top that can be dressed up OR down. 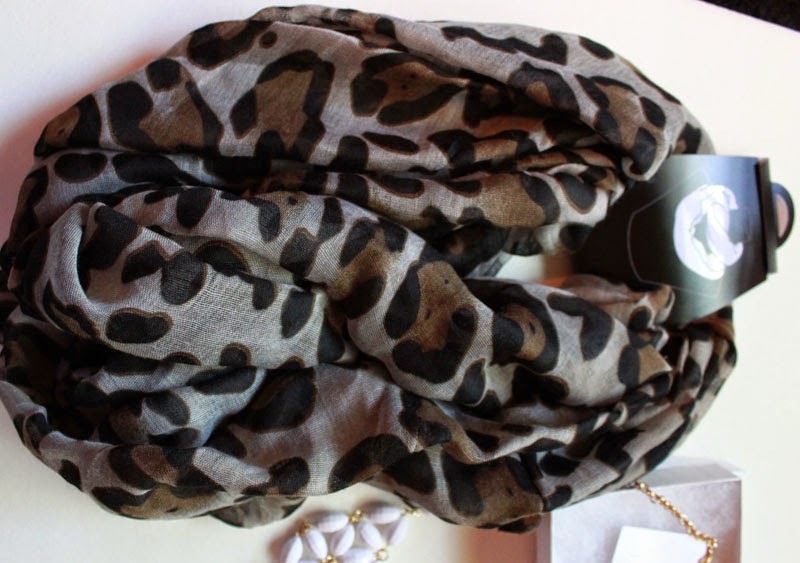 Also included is a your choice of scarf style as well as sunglasses (not pictured), earrings, bracelet, and ring. Exact accessories may vary but will fit the theme! Instaglam's October box was so fitting for Fall! I loved the inifinity scarf, the green color goes amazing with an anorak jacket. I'm one of those people who can't make a scarf look nice for the life of me so I love these already done up ones. The black gem ring and earring's were so my style. The statement necklace wasn't, but I'll step out of my jewelry comfort zone and try it anyways. The bracelet looks a little cheap, but hey it is costume jewelry. What puts this box up a level over other fashion related boxes is that they include a top. It was a little large, the batwing style doesn't work for me being top heavy but its so dang comfy I'll wear it around the house anyways. 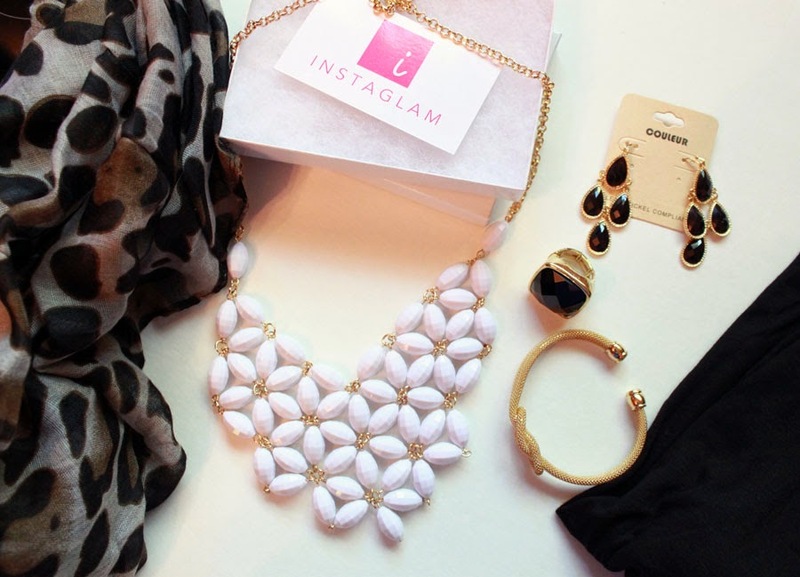 Instaglam gives you nearly a whole outfit with accessories in one box, definitely would subscribe! Snail, the ingredient that is quickly making its name in the market, has great properties from anti-aging to moisture replenishing. Beauteque created a special mix of products that are the top in the market with this ingredient. 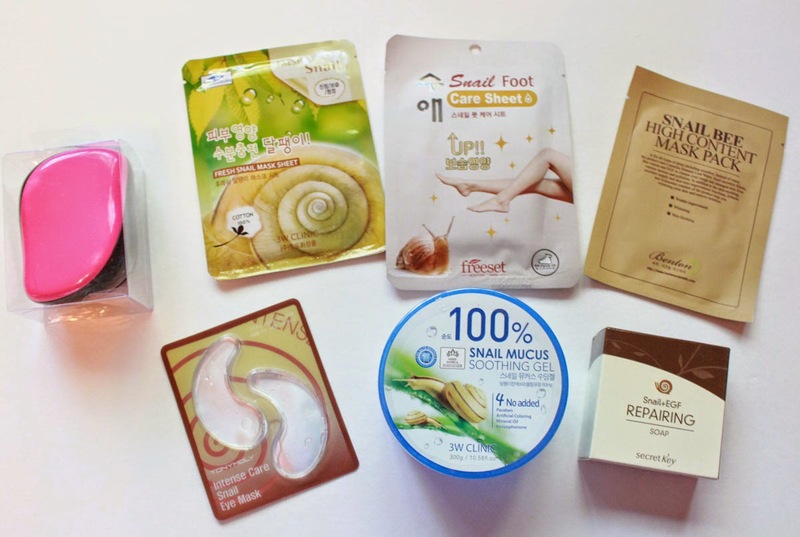 The Head to Toe Snail Bag,valued at $80, has seven full sized products that can beautyify you everywhere from your hair all the way to your feet. Hop on the snail bandwagon with us by trying it out! Instead of a box Beuteque uses a bag that you can re-use. 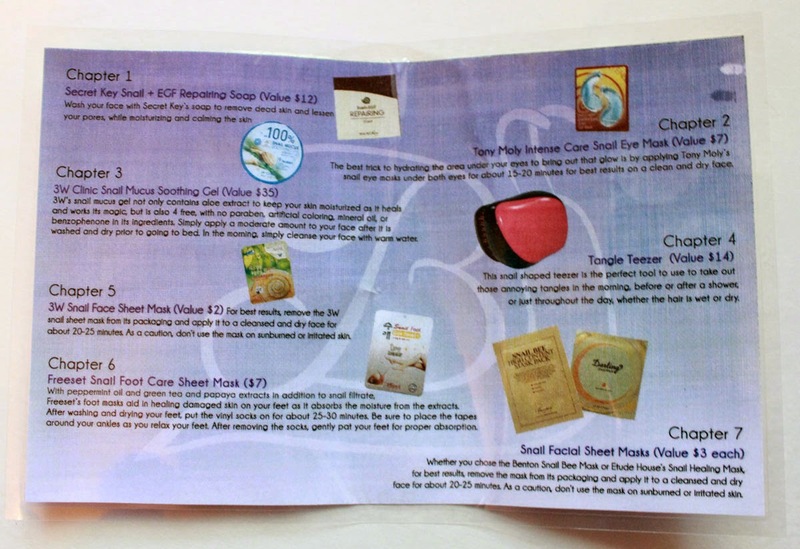 It comes with a laminated card describing each product which is helpful with Asian cosmetics and skincare. I think snail as an ingredient might be easier for people to catch on to if a HUGE SNAIL wasn't on the packaging :) I enjoyed all of these products though. Sheet mask's are so relaxing and entertaining to everyone around you. I love the foot masks especially! This pair had peppermint oil, green tea, and papaya extracts in addition to snail filtrate. They make your feet feel so soft and pampered. The Tangle Teezer was included in this bag because it's snail shaped, how quirky. Everyone has one of these and I see why now, it works so well at getting annoying tangles out of wet hair. 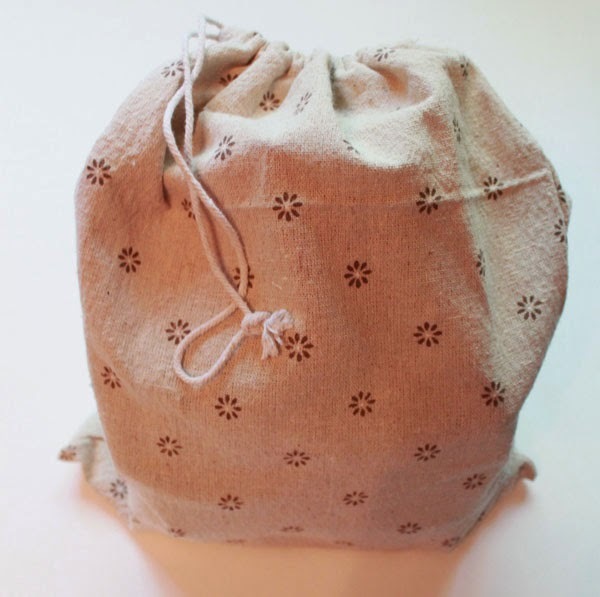 Admittedly I wasn't so sure about this bag at first, but after trying Beuteque's choices and looking at snail filtrate as just another skincare ingredient it's not so crazy. They do monthly theme's with their bags so every month is different. If you're not brave enough to try snail products next month will be something new, but I promise it's not so scary! You can use code MONROEMISFIT to get a free face mask with your Beauteque Bag until October 31st at beauteque.com.